You depend on your hot water heater for comfort and convenience in your Denver home! Make sure your unit keeps working perfectly with water heater service from Premier Heating and Air in Denver. 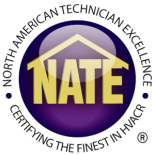 Our NATE certified technicians offer water heater repair, replacement, installations and tune-ups. That means no matter what water heater service you need in your Denver-area home, our team can get the job done right. You can trust our team to work on this important system in your home and keep it working perfectly for years to come. If you’ve run into an issue with your hot water heater, we have the solutions that you need. Our team of experts can solve your hot water heater problems through their expertise, either by performing the necessary repairs or suggesting a water heater replacement that’s better for your Denver home. We can help you get an older unit running like new again, or help you save money on your monthly energy bill by suggesting a new water heater for more energy-efficient unit for your home. Our team stays up-to-date on the latest and greatest water heater technology, so we know the right solutions to your hot water heater problems in Colorado. Even if your old unit is working fine, you may want to consider hot water heater replacement for your Denver home. Today’s units offer cost savings through less monthly energy use, lowering that monthly energy bill and helping you pay for your new unit. Premier Heating and Air can help you with a tankless water heater installation for your Colorado home, too. Tankless hot water heaters are a great innovation that means you always have the hot water you need when you need it! Our team can help you find the unit that’s right for you. Contact the Premier Team for Water Heater Service in Denver Today! We do not just deal in hot water heater repair and installations. We also do air conditioning repairs and installations, which is critical during the hot, dry Colorado summers. If you need to schedule a regular HVAC service or even our 24 Hour Emergency HVAC Service, call Premier Heating and Air.